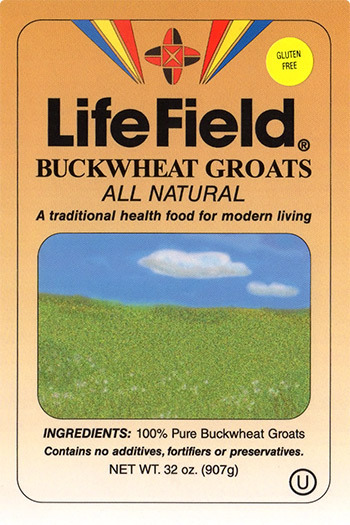 R. Plotkin Associates, Inc. are exclusive importers of LifeField Buckwheat products to specialty markets and the food industry in the New York Metro area and Northeast U.S.A.
Our goal is to provide consumers with premium products and premium taste. LifeField buckwheat groats are wheat free and gluten free as are our newest additions, LifeField Buckwheat Chocolate Chip cookies and Buckwheat Raisin cookies. All products including our Buckwheat flour and pancake & waffle mix are all natural. No additives, fortifiers or preservatives are ever used. All LifeField products are certified Kosher. LifeField recipes can be refrigerated or frozen after cooking and will taste just as good the second time. LifeField buckwheat has a long shelf life. Store in a dry place at room temperature and enjoy it all year round. Buckwheat is an ancient crop. Archeologists and historians believe that it was first cultivated in China in the early years of our millenium and become soon very popular in East Asia. In the 14th century buckwheat traveled with the Mongols to the European pat of Russia from where it moved to Central and West Europe. In the 17th century it reached Britain. The Dutch were among those who took particular interest in buckwheat and eventually brought it to the Hudson River valley. Despite the fact that nowadays buckwheat is grown in many parts of the world, and it proved to be a miracle plant, its qualities remain largely unknown to the public. 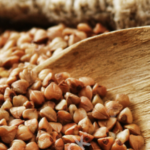 Thanks to scientists who continue to discover more and ore valuable features of buckwheat, the attention to this traditional healthy food is constantly growing in many countries. For example, in Italy, the consumption of buckwheat is rapidly increasing – nearly doubling every 3-4 years. There is no doubt that this trend will also be developing in the United States.